Math Corporation delivers two desktop loan calculation software products that accurately solve high-level savings & loan calculations – ZMath® Desktop and ddMath® Desktop. 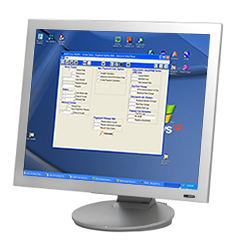 Unlike our calculation engines, Math Corporation's desktop products are designed as downloadable desktop loan calculation software files that operate independently of other platforms. Lenders, mortgage brokers and real estate agents rely on Math Corporation's desktop loan calculation software products, which combine a loan calculation engine with a user interface. ZMath® Desktop loan calculation software offers the ultimate ease of use for lenders interested in solving all loan calculations, including mortgage, auto and construction loan calculations; annual percentage rates (APR) and balloon payments; returns on critical real estate mortgage calculations and amortization schedules. An intuitive desktop loan calculation software product, ZMath® Desktop combines the proven ZMath® Engine with a Visual Basic user interface. Designed by lenders with lenders in mind, ZMath® Desktop solves every possible loan calculation and is packaged as a downloadable (or CD-deliverable) piece of software that's simple to install and use. ZMath® Desktop loan calculation software is guaranteed and ensures loan calculations are Truth in Lending and RESPA compliant! Discover more about ZMath® Desktop Loan Calculation Software! View a list of loan calculations it performs! ddMath® Desktop delivers a full-featured savings calculation processor that outputs information in compliance with The Federal Truth in Savings Act (Regulation DD), including the Annual Percentage Yield (APY). 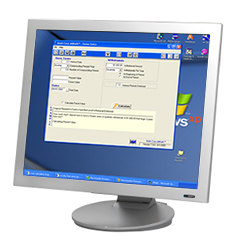 ddMath® Desktop is delivered as a downloadable piece of software combining the ddMath® savings calculation component with a simple user interface. Learn more about ddMath® Desktop or demo ddMath® Desktop online!